Identify what can be included in a published catalog. A published catalog is one that is created in the administrative organisation with all the required components and vApp templates published to all other organisations in the vCloud environment. Good design practice to only allow the administrative organisation to publish its catalog and deny this ability for all the standard organisations. Standardised gold master vApp that can consist of a single virtual machine all the way to 3 tiered offerings like a web service with a web front end, an application server and a database server. These are verified templates that meet regulatory and security standards which ensures consistency across the environment and provides the consumers with verified offerings that can be deployed with ease.Guest customisation changes the identity of the vApp and can be used for post-deployment steps, such as the joining of vApps to domains. vApp Templates which can cannot be deployed but can be deployed (instantiated), creating a vApp that can be deployed and powered on. Media like ISO files for software and applications. These are also verified and commonly customised to ensure standardisation and to provide specific capabilities. Identify what can be included in a private catalog. A private catalog can have the exact same components but it is controlled by the user/group assigned the Catalog Author vCloud role. This catalog is limited to a specific organisation and good design practice states you should limit the ability to publish this catalog thereby making it a private catalog. This can still contain standardised vApp’s and ISO’s and if you are a service provider this is where the cloud consumer will place their standardised vApp’s and ISO’s so that the organisation can use them but other organisations cannot. Identify permission controls for catalogs. Explain the functionality of a catalog. VMware vCloud Director uses the concept of a catalog for storing content. Organizations have their own catalog that they can populate and and share the contents with other organizations and users. All entities in the catalog are stored in a content repository system. The content repository, a component in the vCloud Director storage subsystem, provides an abstraction to the underlying datastores while offering features to store, search, retrieve, and remove both structured and unstructured data. Based on application requirements, determine appropriate vApp configuration. As I mentioned for the published catalog and private catalog sections above you can configure vApp’s with multiple tiers to allow the organisations to provision these offerings in their vCloud organisation and maintain standardisation. If a customer asks for a web service offerings then you can provide them with a three tiered vApp with a web front end, an application server and a database server. There may even be a requirement for availability of the offering so you will created multiple front end, application servers and a clustered database back end. Using the web service example this will also require different networking to ensure the security of the offering which will mean different servers connecting to different networks and vCNS endpoint devices being configured as part of the vApp. I am planning on creating a few of these as practice in visio so that I can visualise them and make sure I know what they should look like in case a visio style question comes up or i just need a good mental picture to make decisions for questions. Determine appropriate storage configuration for a given vApp. This follows closely to what I covered above but now you need to think of the storage offering the vApp components are going to be kept on and what storage you are going to allow the vApp to be deployed onto. Using my trusty web service example you wouldn’t want the database sitting on low end storage as this would severely impact the service. This is what I think they are asking for so if you think i’m wrong then please do tell me as I’m also learning and sometimes it’s difficult to gleam what they mean as this could also relate to fast provisioning. Given customer requirements, determine appropriate catalog design. I think for this if you have created catalogs countless times and know what you can put in there and that they can be published to specific organisations from other organisations or published to all from the administrative organisation then designing it should be simple enough. Determine the impact of given security requirements, on a catalog structure. This may be numerous things but there are times when an organisation wants only certain vApp’s and ISO’s in a catalog to be available to certain people and so you can configure the catalog to have certain portions only available to certain people. There are also many organisations who have very customised and important virtual machines which they have converted to vApp templates and they want these secured so that only a certain person can access them and only that person can provision them for people. If you think I have totally missed something then please do tell me as I’m only learning and I’m certainly not perfect. 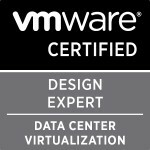 Categories: VCAP, vCloud, Virtualisation, VMware | Tags: catalog, published, VCAP-CID, vCloud Director, Virtualisation, VMware | Permalink.